And they say the noise [of wind turbines] causes cancer. He said, “They say the noise [from wind farms] causes cancer. Seriously. In case you needed any more proof that we need a climate president, this is it. In case you needed any more proof we have got to make sure climate change is center stage at the debates, well – you’ve got it. Our president is now sharing conspiracy theories about the noise from wind farms causing cancer. I’d say it doesn’t get any worse than that, but you never know what could come next. 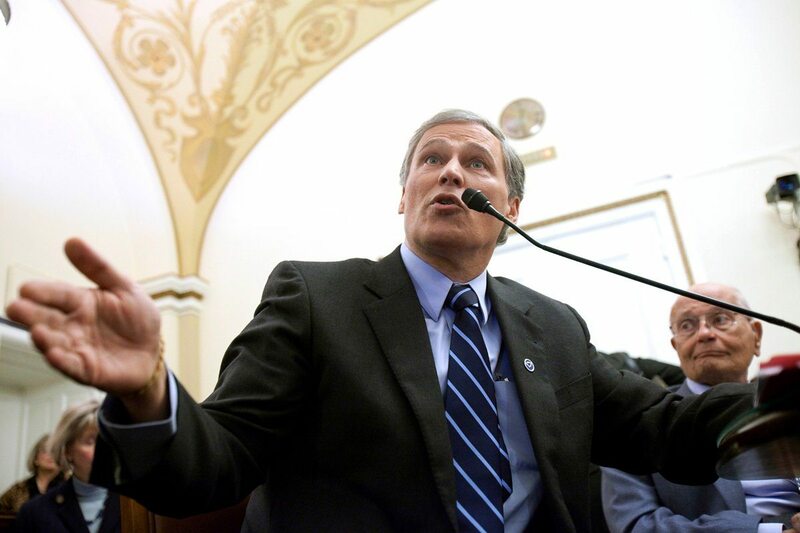 The absurdity of Inslee ridiculing anyone for making a gaffe cannot be overstated. As Washingtonians know, our green governor cannot speak without saying something dumb. “And it’s difficult for me to accept the current situation where we’ve had a very unbalanced result that is so unbalanced in my state and unbalanced between cuts to spending and closing some loopholes that oughta be closed.” – Press conference February 27, 2013. Ladies and gentlemen, Washington Governor and Democrat Presidential candidate Jay Inslee.